← Jedward through to Eurovision Final! Baz Luhrman has been working Down Under, with what seems like a cast of thousands, to bring us his interpretation of the classic The Great Gatsby. 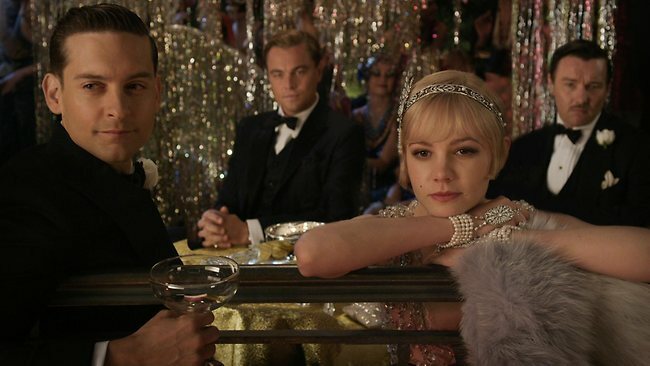 The Great Gatsby stars Leonardo Di Caprio, Tobey Maguire, Joel Edgerton and Carey Mulligan. The first official trailer has been released. The film looks extravagant, beautiful, moving and dramatic – the type of film only Luhrman can deliver. The Great Gatsby will be in cinemas this Christmas. This entry was posted in Movie News and tagged Carey Mulligan, Joel Edgerton, Leonardo Di Caprio, Sarina Bellissimo, The Great Gatsby, Tobey Maguire, Trailer. Bookmark the permalink.